I'm Here. I'm Queer. What the Hell do I read? 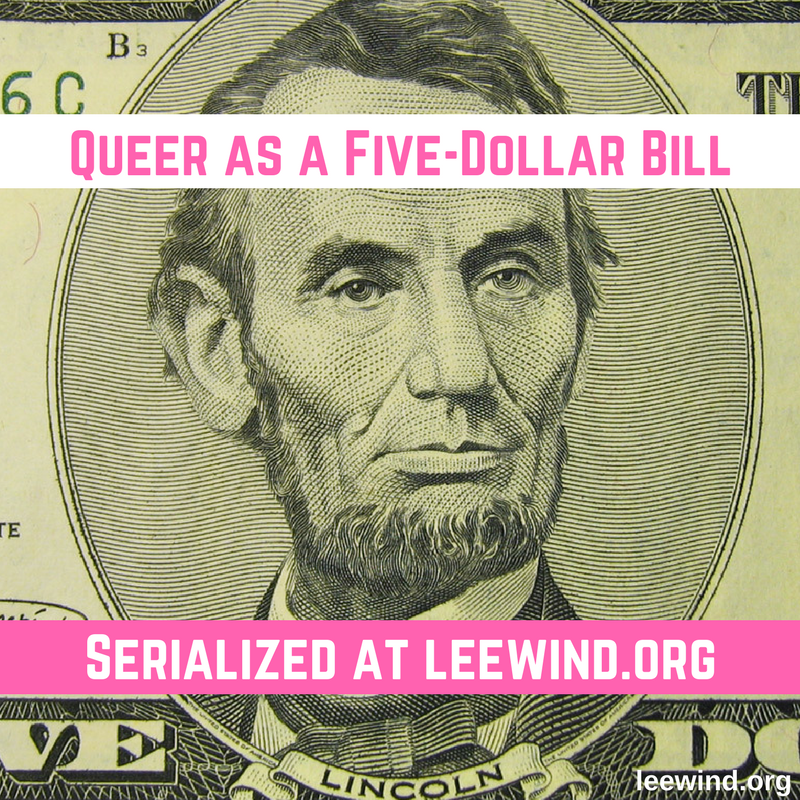 : The ALA's 2017 Rainbow List Is Out! 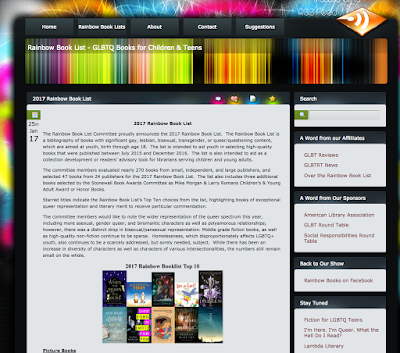 Created by the Rainbow Book List Committee of the Gay, Lesbian, Bisexual, and Transgender Round Table of the American Library Association, the 2017 Rainbow List presents the committee's choices of Best Books published between July 2015 and December 2016 with significant gay, lesbian, bisexual, transgender, or queer/questioning content, which are aimed at youth, birth through age 18. 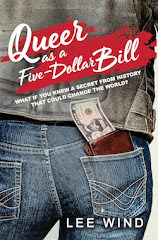 There are five picture books, five middle grade novels, one middle grade nonfiction, thirty-two YA fiction, five YA nonfiction, and five graphic novels on the list. 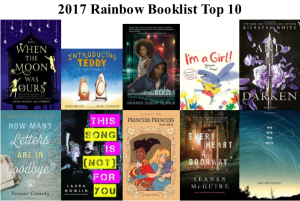 They've also chosen their top ten titles, which it's interesting to note are different from The Stonewall Book Award - Mike Morgan & Larry Romans Children’s & Young Adult Literature Award winners. A good reminder that selecting "best" books is a very subjective enterprise. The 2017 Rainbow List presents 53 books altogether - and it's one heck of a reading list!